I’m calling these muffins, but the idea started out as cupcakes. Gluten free baking sure can be a puzzle. There are so many flours you can choose from, and so many different ways you can combine them. I think when gluten free baking first became popular, quite a few years ago, rice, potato, and corn flour were amongst the most popular and readily available. Since then things have changed. In keeping with my healthy food efforts, I am trying to select the flours that are most nutritious. Therefore, I had the idea of using coconut and quinoa flour. Sometimes, when I conceive a notion, I cannot allow myself to change focus. 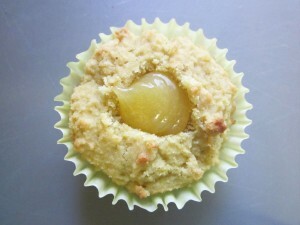 So I began, stubbornly, to experiment with a coconut/quinoa cupcake recipe. I discovered that these flours (I’m not sure which one was the culprit) absorbed a lot of moisture, and the batter was thick, yet fluffy. I found a combination of ingredients that I was somewhat happy with, but it contained butter and eggs. I really wanted to try vegan, so I changed the recipe and tried baking them three more times… they all flopped. Unfortunately (or fortunately), I went back to the original (non vegan) recipe. The only thing that still bothered me about it, was that it had a lumpy appearance after baking, due to the thick batter. It had a wonderful moist fluffy texture though, so I have labeled it a ‘muffin’ instead of a cupcake. I was planning to top the cupcake with frosting anyway, but then there was a double-good reason for doing so… it covered up the funny, lumpy muffin appearance. Win, win! 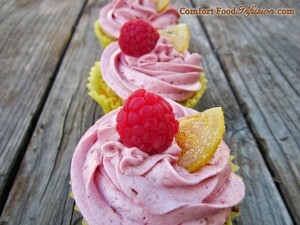 Anyone out there gluten free/vegan bakers? I would love to know how to turn a coconut/quinoa flour baked-good into a vegan version. Please post in the comments, with your tips. The frosting is vegan, the lemon curd filling is not. 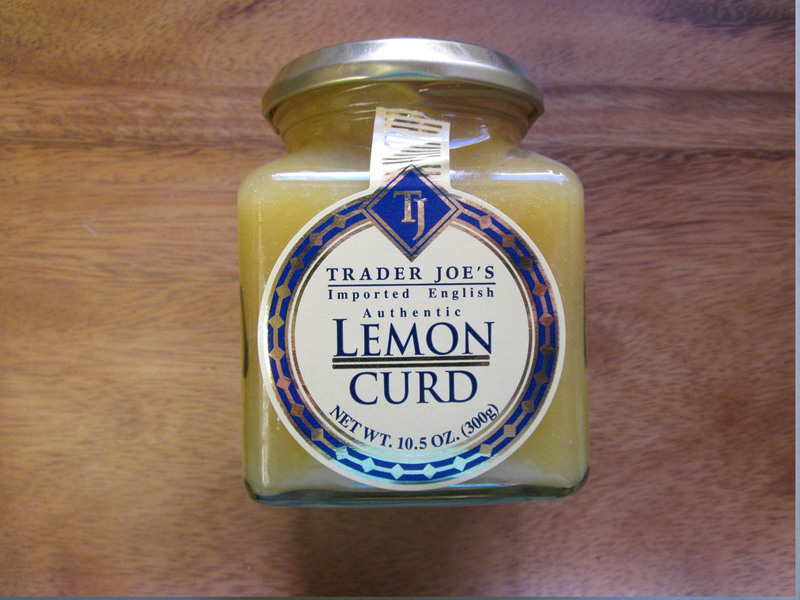 I know there are vegan versions of lemon curd out there… not sure if they sell it anywhere, but I have seen recipes posted on the web. 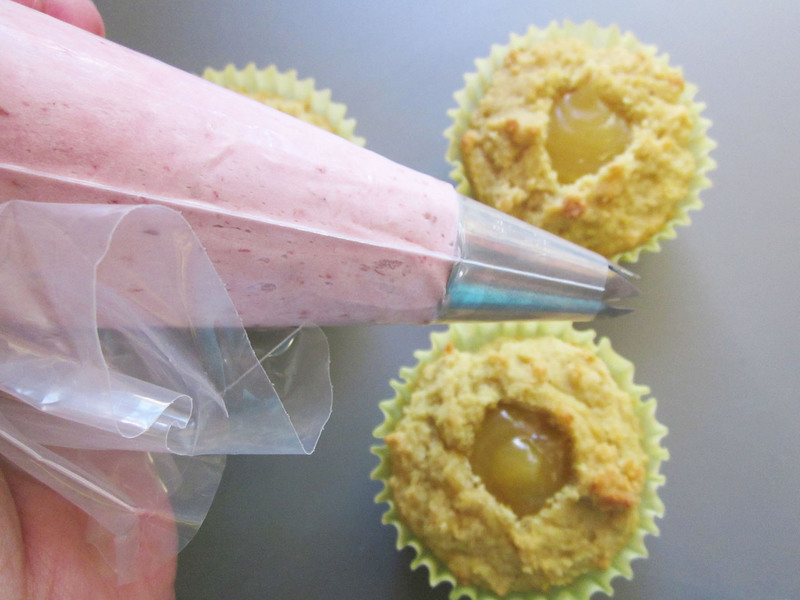 Using a frosting piping bag (or zip-lock baggie with a hole cut in the corner), Pipe raspberry frosting onto each muffin. Top each muffin with a raspberry, and candied lemon peel, if desired. 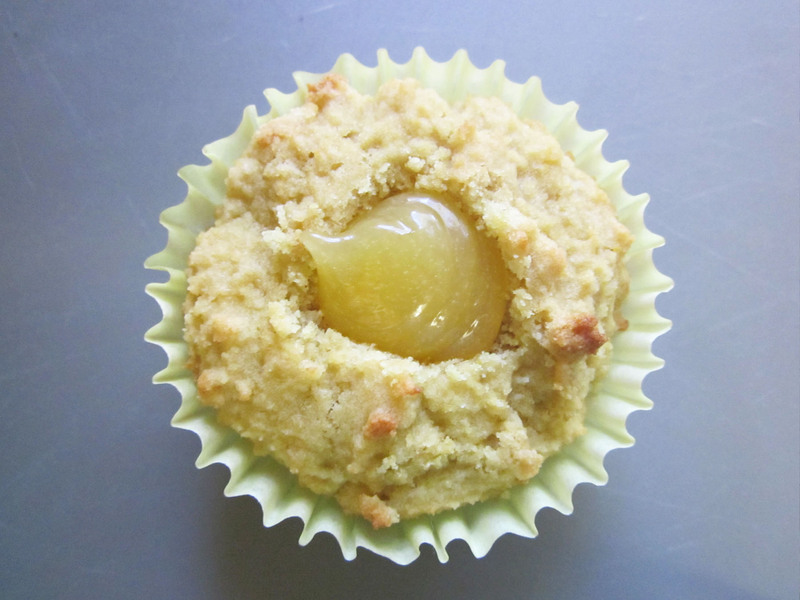 A fabulous gluten free muffin, using coconut and quinoa flour. 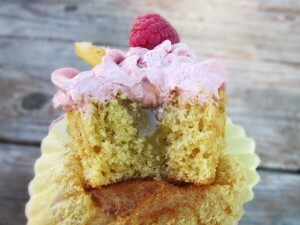 Filled with lemon curd, and topped with a super fluffy raspberry frosting. Recipe makes 24 muffins. Beat the shortening, margarine, and jam together until well combined. Add the sugar and beat for about 2 more minutes. (You can add more jam to get the right flavor and consistency). Cover and place in refrigerator while preparing muffins. 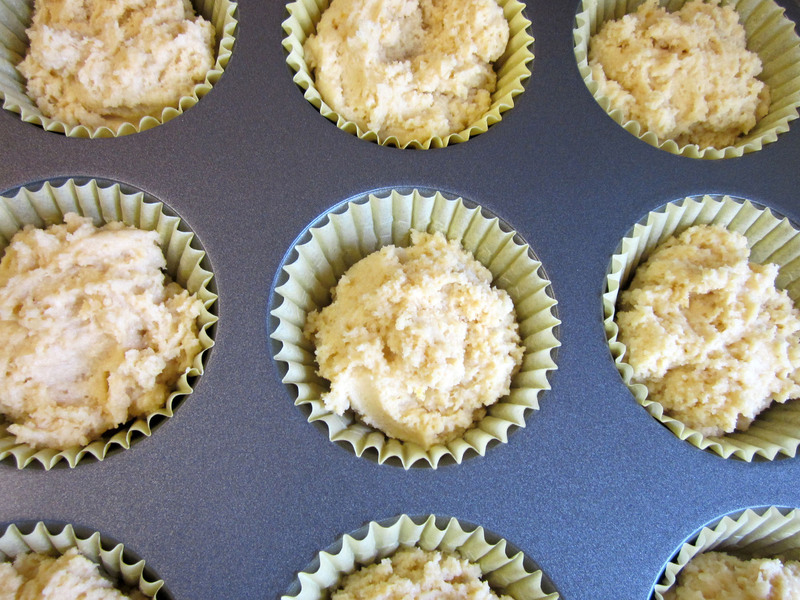 Preheat oven to 350° F. Line 24 muffin tins with liners. Mix the coconut flour, quinoa flour, cornstarch, salt, baking soda, baking powder and xanthan gum together and set aside. 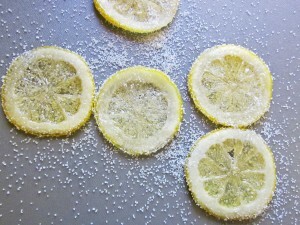 With an electric mixer, beat the eggs, milk, sugar, butter, vanilla, lemon juice and zest until fluffy. Add the flour mixture, and stir until just blended. 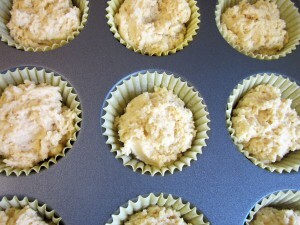 Scoop batter into lined muffin tins. Bake in 350° F oven for about 14 to 18 minutes, or until the muffin springs back when gently touched. Remove from oven and allow to cool for at least a half hour. 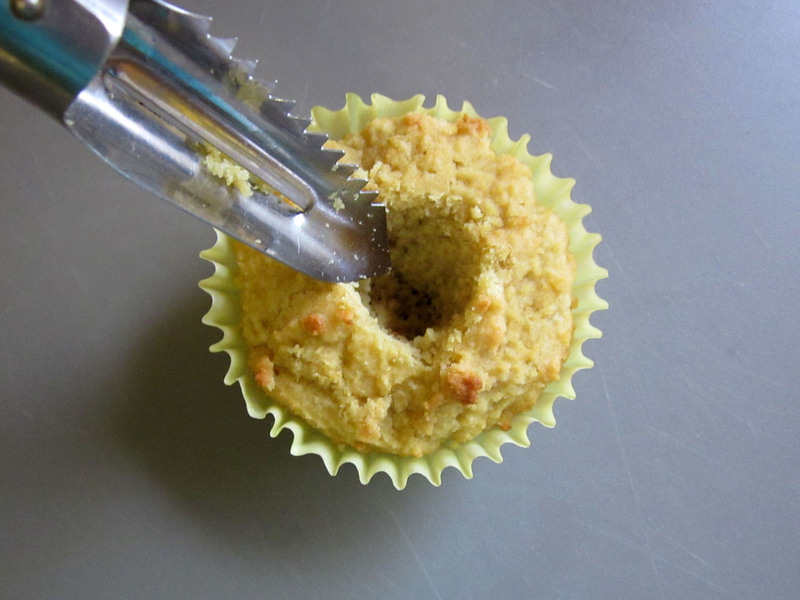 Using an apple corer or small spoon, make a small-medium sized hole in each muffin. Fill a zip-lock baggie with lemon curd, cut a small hole in the corner of the baggie, and pipe into the hole of each muffin. Spoon chilled raspberry frosting into a zip-lock baggie with a small hole cut in the corner, or a frosting bag fitted with your choice of tip (I used a large star tip). 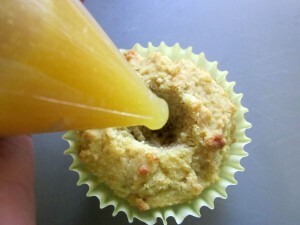 Pipe frosting onto each muffin. Top each muffin with a raspberry and a slice of candied lemon peel.